You'll see them from the highway or alongside rarely-traveled rural roads, weathered old barns still standing after all these years. They help us remember our past and the diligent people who lived a life much different than ours. Farming has changed over the past century, but the work ethic and family values forged in the farmyard remain in the hearts of many Americans. 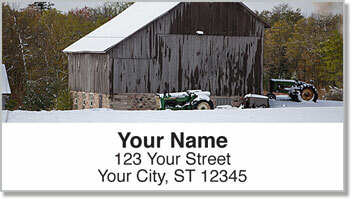 These eye-catching labels feature photos of barns during the winter months. 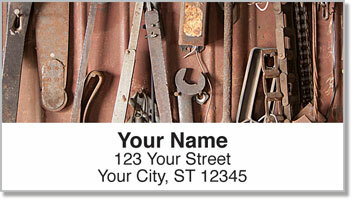 It's a great way to top off your letters and packages with the essence of country living. 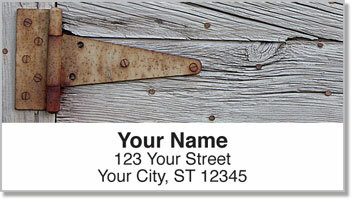 Plus, you'll love how the convenient self-adhesive backing makes the chore of preparing outgoing mail nice and simple. 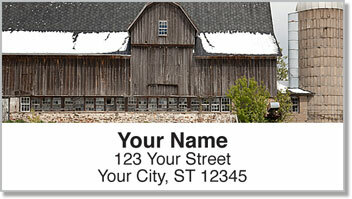 Make our Barnyard Scene Address Labels yours today! Complete your order with matching personal checks.